Blood Pressure is the Pressure exerted by blood on blood vessels while pumping by Heart. Ideal or Normal Human Blood Pressure is 120/80 mmHg, while blood pressure within normal range(110/75mmHg -130/85mmHg) is also considered normal. Due to some factors when it exceeds the normal range, it is called High Blood Pressure or Hypertension. A blood pressure reading of 140/90 mm Hg or above is considered High Blood Pressure. High Blood Pressure or Hypertension is known as a “Silent Killer” and may lead to many fatal problems like Heart attack or Strokes. Let's have a look on some common causes behind High Blood Pressure. However you can cure this problem and can maintain your Blood Pressure within Normal Range (110/75mmHg -130/85mmHg) just by following some given natural simple tips. Lemon water has been shown excellent results in lowering high blood pressure. Lemon juice helps keep blood vessels soft and flexible and by removing any rigidity, high blood pressure will be reduced. Take 100 grams of water, squeeze half a lemon in it then use this mixture after every two hours. This would provide relief and also lower the blood pressure. Alternatively take 1 cup of lukewarm water and mix half lemon juice, drink this mixture each morning on an empty stomach. For best results, do not add salt or sugar but to improve the taste you can add 1/4 teaspoon of honey. Consume a tea spoon of Fenugreek seeds with water. Repeat this both in the morning and evening for 10 to 15 days. This simple natural home remedy is considered very effective in treatment of High Blood Pressure. Onions have also been found to lower your blood pressure due to the presence of an antioxidant flavonol called quercetin. Take equal proportions of onion juice and honey. Take 1 Tablespoon of this mixture two times a day. This is an effective natural way for treatment of high Blood pressure. Raw almonds are also considered very effective to lower high blood pressure. Eating just 7-10 truly raw almonds every day can make a significant difference in keeping your blood pressure levels in control. Raw almonds are rich in monounsaturated fats, which have been scientifically proven to help lower blood cholesterol levels, reduce arterial inflammation, and ultimately lower blood pressure levels. Banana fruit also help to reduce and maintain normal blood pressure. Bananas are a rich source of potassium, which helps control blood pressure levels. At the same time, they are low in sodium and have no cholesterol, both of which also are good for people with this high blood pressure. So to lower high blood pressure try to consume one or two bananas on daily basis. Use of Cinnamon is another great way to reduce high blood pressure. Consuming cinnamon every day has been shown good results to lower blood pressure in people with diabetes. Include more cinnamon in your diet by sprinkling it on your breakfast cereal, oatmeal, and even in your coffee. At lunch or dinner, cinnamon enhances the flavor of meals. Coconut water is also considered very effective in lowering high blood pressure. Coconut water is rich in potassium, electrolytes, and other important nutrients, all of them help significantly lower blood pressure levels in most of the people that drink it. According to recent search, drinking coconut water helped 71 percent of participants achieve a significant reduction in systolic pressure, and 29 percent of participants achieve a significant reduction in diastolic pressure. Fish oil contains a good amount of Omega-3 fatty acids that really helps to reduce high blood pressure. Besides reducing high blood pressure, Omega-3 fatty acids reduce triglycerides,slow the development of plaque in the arteries and reduce the chance of abnormal heart rhythm. According to American Heart Association (AHA) taking up to 3 grams of fish oil supplements daily is considered safe. Don't take more than that unless you discuss it with your doctor first. Avoid higher doses of fish oil because it can also cause an increased risk of bleeding in susceptible people including those with bleeding disorders or taking medications such as warfarin (Coumadin), aspirin, or ginkgo. DASH (Dietary Approaches to Stop Hypertension) diet plan is rich in whole grains, fruits, vegetables, low-fat dairy products, nuts, lean meats, and fish. DASH diet plan can lower your blood pressure by up to 14 mm Hg. 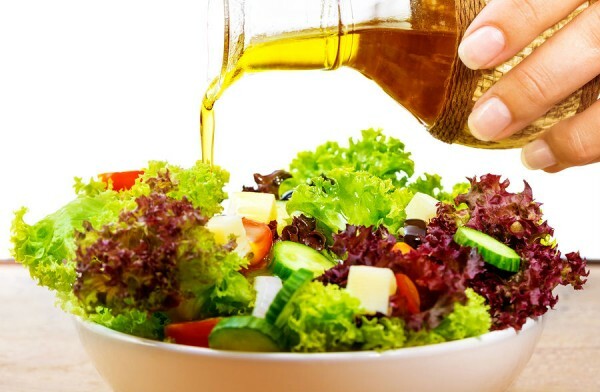 To follow DASH diet plan you should eliminate foods high in saturated fats, trans fats, and cholesterol. Besides them also avoid processed foods, whole milk dairy products, fatty meats, and fried food. (i) Avoid salt as much as possible because too much sodium can lead to fluid retention which can raise blood pressure. It is estimated that 60% of people with hypertension can decrease their blood pressure by reducing their sodium intake. (ii) Avoid smoking because smoking can put you at increased risk for high blood pressure and heart disease. (iii) Avoid caffeinated drinks like coffee, colas and all energy drinks that contain caffeine because Caffeine intake can result in a temporary but marked increase in blood pressure. It does this to a greater degree in people with high blood pressure compared with those with normal blood pressure.You can replace the urge of caffeinated drinks with green tea which is quite effective in lowering high blood pressure. (iv) Being overweight puts increases pressure on artery walls. If you are overweight, try to follow a weight loss diet plan to bring body weight into a healthy range and hence reduce the risk of high blood pressure. (v) Adopt a habit of regular exercise because physical inactivity raises the risk of high blood pressure by 30%. Regular exercise can lower blood pressure and improve heart health. At least 30 minutes of aerobic exercise per day is typically recommended. For Heart patients walking is better than Jogging. Walk barefoot on green grass for about 15 to 20 minutes everyday. This will help to maintain the blood pressure at Normal Level.